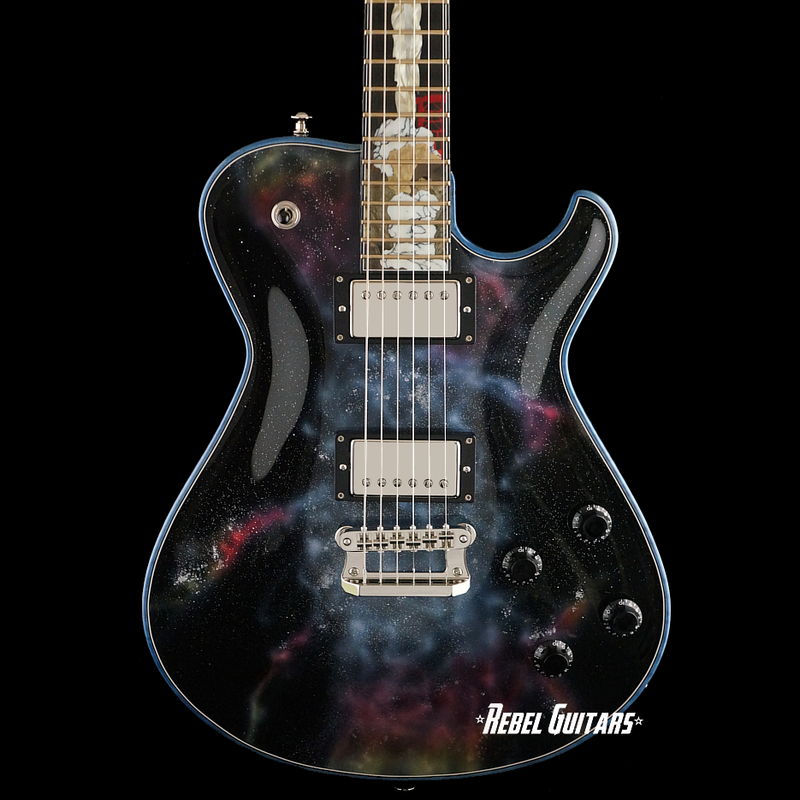 2019 is the 10th anniversary of Knaggs Guitars and the 50th anniversary of the first moon landing. 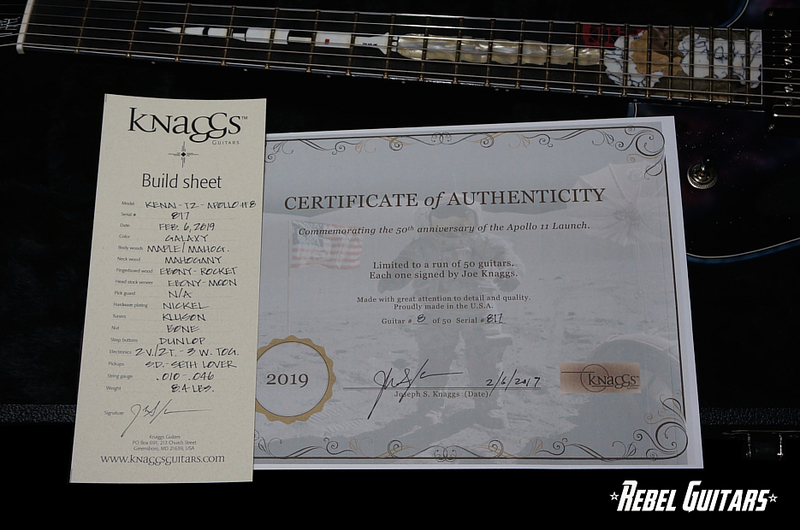 To commemorate these anniversaries, Knaggs are offering a limited run of 50 instruments with a custom designed Apollo 11 package by Joe and Pearlworks. 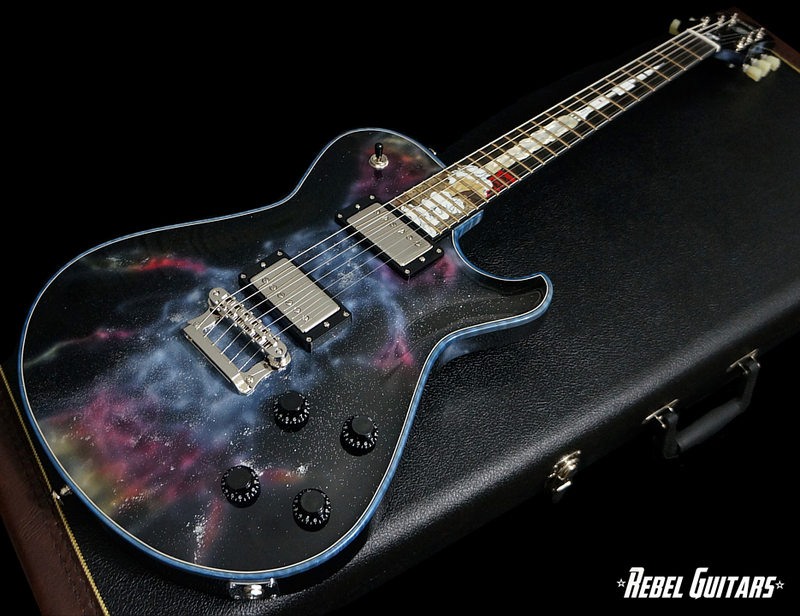 Apollo #8 is a Galaxy finished Kenai with a Mahogany body, Curly Maple top, blue stained Maple binding, Mahogany neck, Ebony fretboard with Apollo inlay, Ebony headstock veneer with moon inlay, astronaut engraved trussrod cover, and Seymour Duncan Seth Lover pickups. 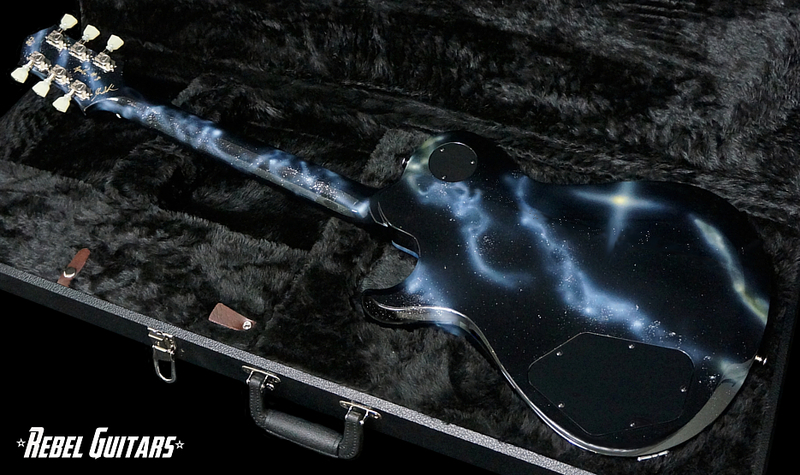 Comes with signed and number COA and Knaggs hardshell case. 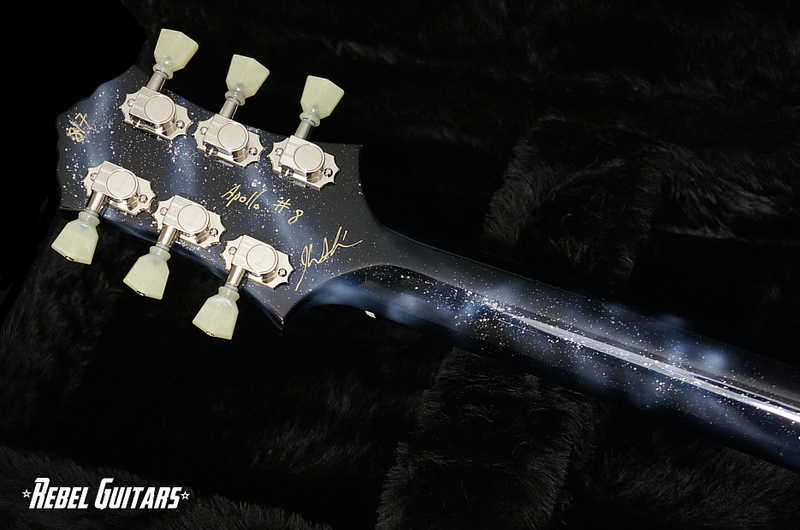 Joe Knaggs says: “Peter called me in the fall and told me about a brilliant idea that he and Bob Bohmer (a dear friend) came up with to put the Apollo 11 on a fingerboard. The idea really hit home with me as my father as well as many other fathers in the Bowie, MD area were members of that great engineering feat. I remember watching the launch from Cape Canaveral and then the party at the officers club when the astronauts first walked on the moon. 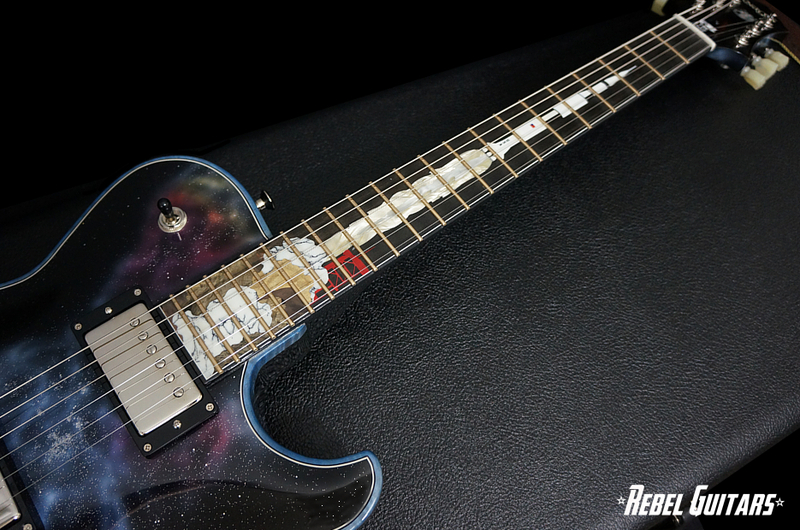 Although only 7 years old, the memory is quite vivid.” The inlay consists of a Saturn 5 take-off on the fingerboard, full moon on headstock veneer and engraved astronaut on trussrod cover.